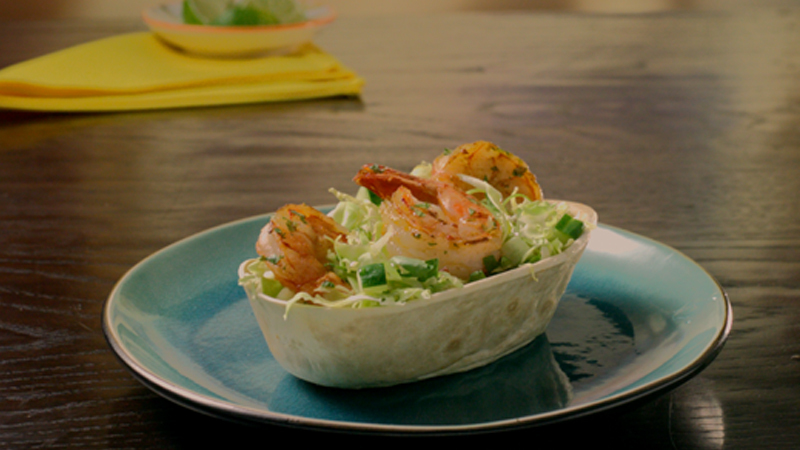 Toss the prawns in the taco seasoning mix, in a medium bowl, and mix to combine and fully coat. Heat the oil in a large frying pan over medium-high heat. Cook the prawns, in two batches, for 3-4 minutes or until the prawns are slightly charred. Add half of the coriander and mix together. Meanwhile, mix the cabbage, cucumber, remaining coriander and lime juice, in a medium bowl, to create a slaw. 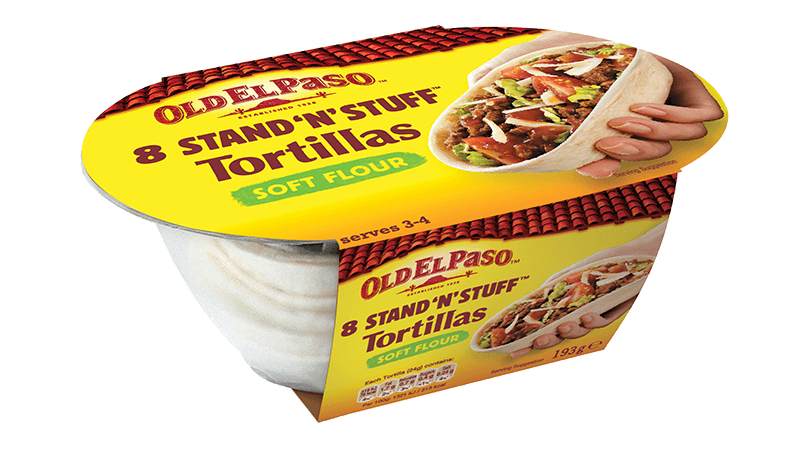 Fill the Stand ‘N’ Stuff™ tortillas with the slaw, the charred prawns and a squeeze of lime. Add grated carrot and chilli to the slaw for extra body and heat! Substitute chicken breast for prawns and cook as above, until cooked through with no pink remaining.